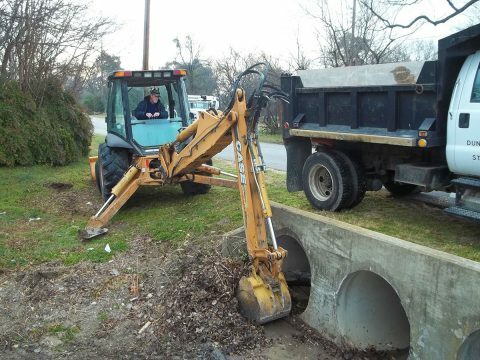 The Street Maintenance division maintains approximately 154 miles of paved streets, 36 miles of alleys, 17 bridges, and roadside drainage channels. Requests for any of the above-mentioned services are responded to in a timely manner to ensure the safety for all who travel our city’s streets and sidewalks. 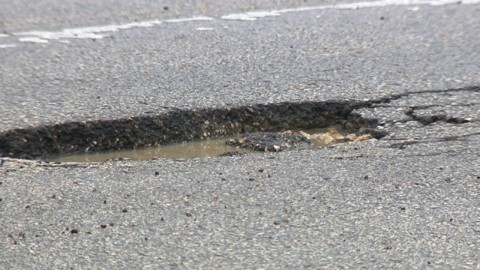 The Texas Department of Transportation (TXDOT) handles reports and repairs of potholes on a service road or a Texas Highway. 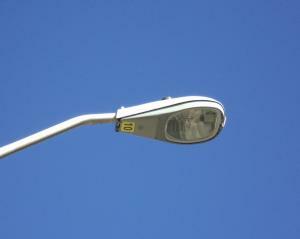 Or call Oncor at 888-313-4747. 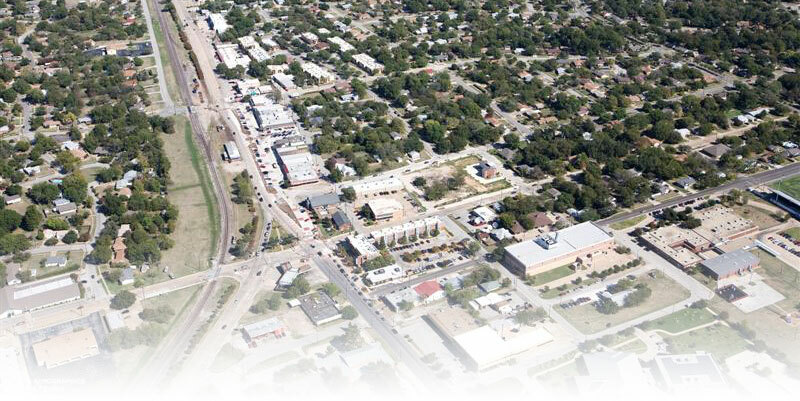 You can also call us at (972) 780-5015 – Please be prepared to provide the address if the outage is in front of a house or a specific location (i.e., third light east of the intersection of …) if the light is in a median. What is the criteria for sidewalk repair? A one-and-a-half-inch offset is considered a trip hazard. 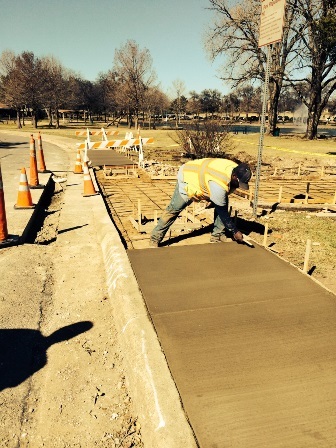 You may request your sidewalk be inspected for repair by using our online web form. Sidewalk repairs are made in the order of severity of the offset or hazard. How do I get our drainage ditch cleaned out? 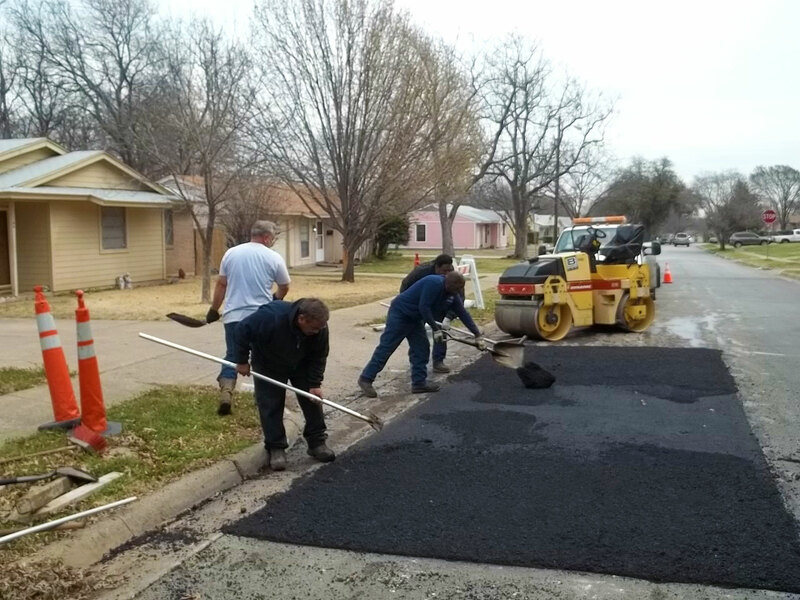 You may report non-emergency street maintenance concerns using our online web form. For emergency concerns during regular business hours, please call (972) 780-4900. For after-hours emergencies, call (972) 780-4900 to be connected to our answering service.